1) Push arm rest back to stop. 2) Lift arm rest off. 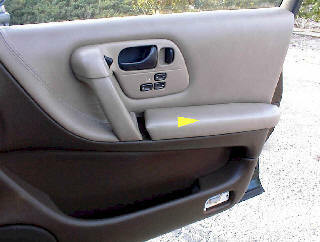 1) Pry control panel from door panel. 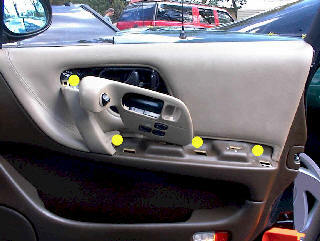 1) Remove connectors from control panel. 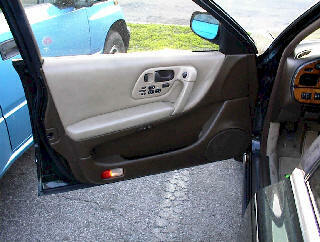 2) Remove four screws securing door panel to door. 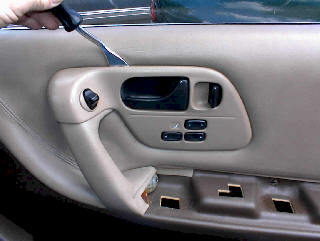 3) Pull door panel away from door starting at bottom releasing clips, lift panel up out of window jam. 1) Disconnect courtesy lamp connector. 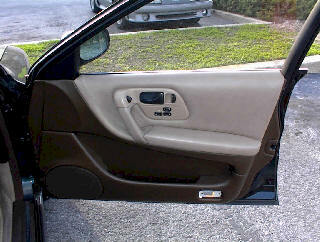 2) Set door panel to side. 3) Remove four screws securing Bose speaker enclosure to door. 4) Gently pry enclosure from door releasing guide pin into door. 5) See our Shipping page and Free Repair Estimates. 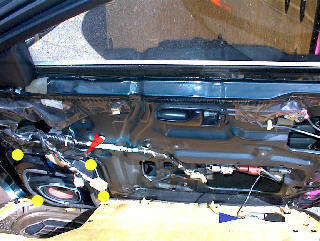 1) Repeat of front right door panel except, pry enclosure from top left corner to loosen guide pin for removal. 2) See our Shipping page and Free Repair Estimates.